When there is no spine or a very weak one, our bookbinder creates a new one and then reattach the cover to the newly created spine. 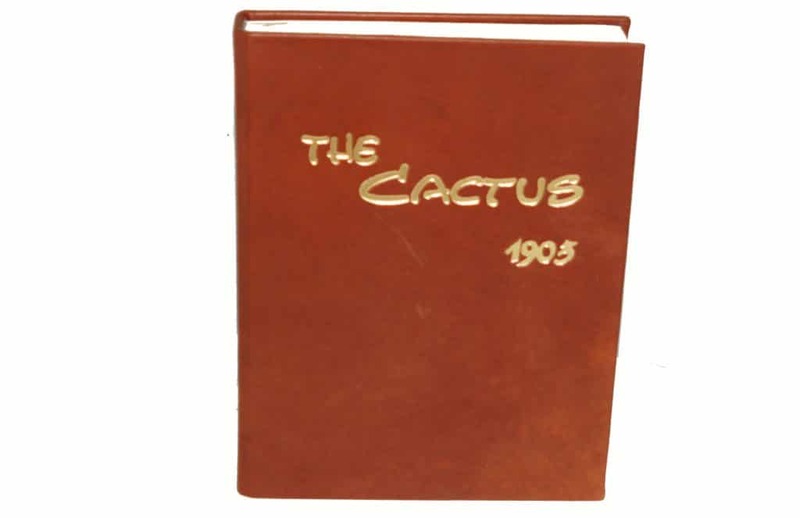 The exterior cover of this first yearbook needed to be replaced and we rebound the yearbook in a matching bonded leather and replicated the images using graphic design and scanning technology. 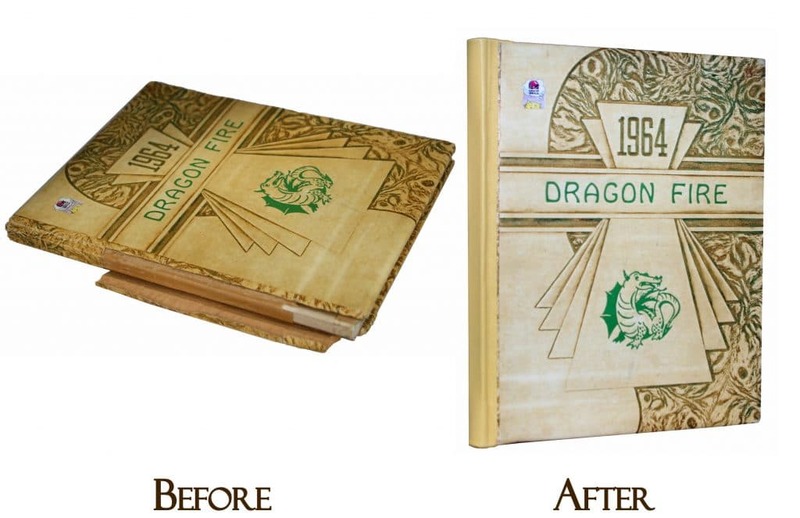 We then created a die and foil stamped the images onto the new cover. 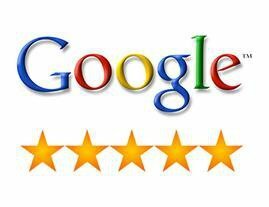 Then the interior also needed graphic design work. We scanned the end sheets and replaced the missing portions on the computer and printed new end sheets. 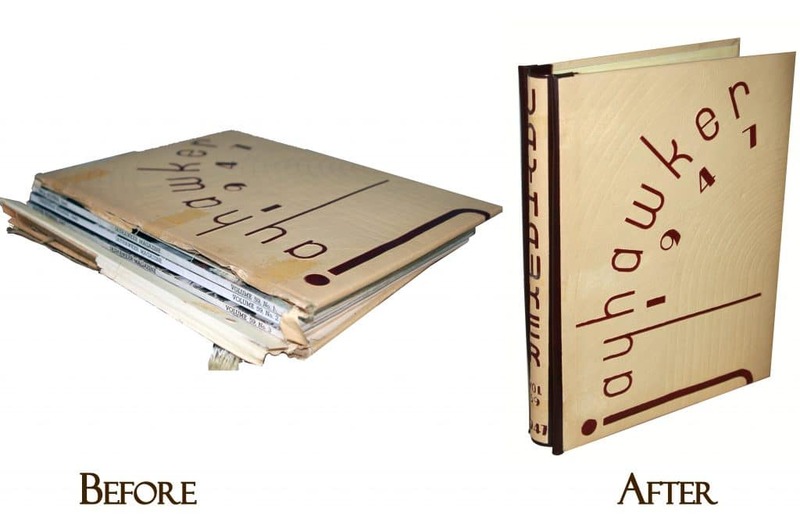 This yearbook really came out nice and our client was ecstatic. 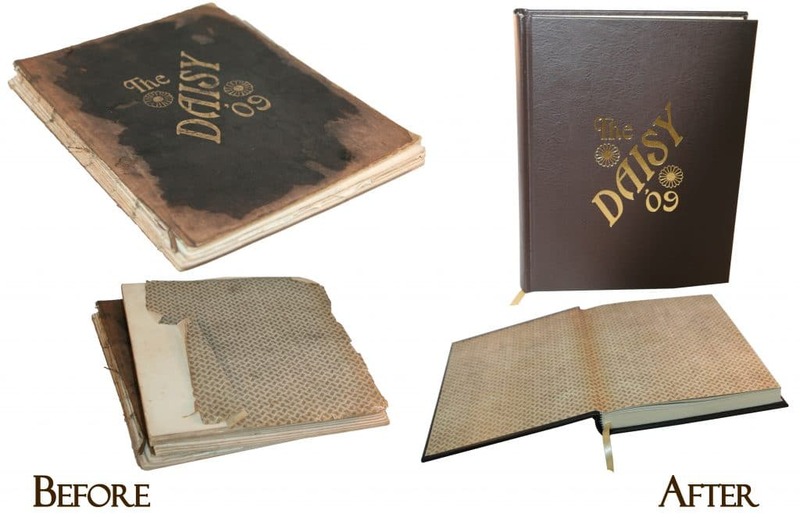 The photo shows how damaged the interior pages were before we scanned them and repaired them using computer technology. 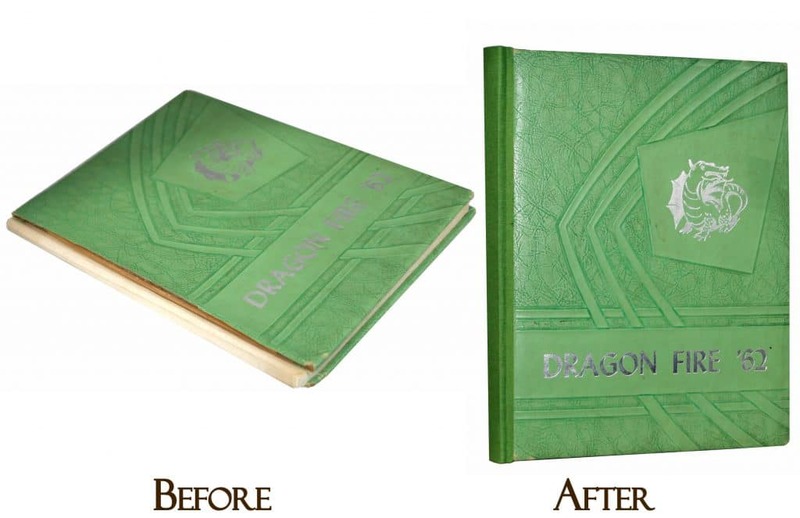 We then reprinted them and had the bookbinder substitute the damaged pages into the final product. 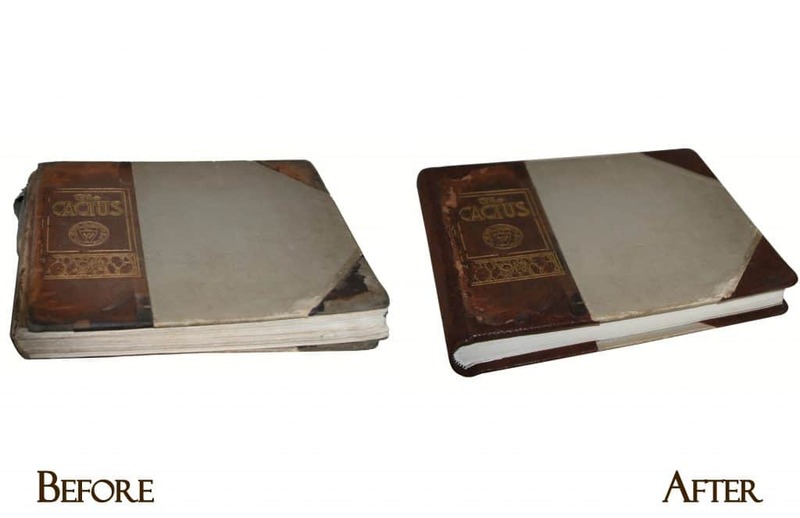 Binding several school publications into one volume. 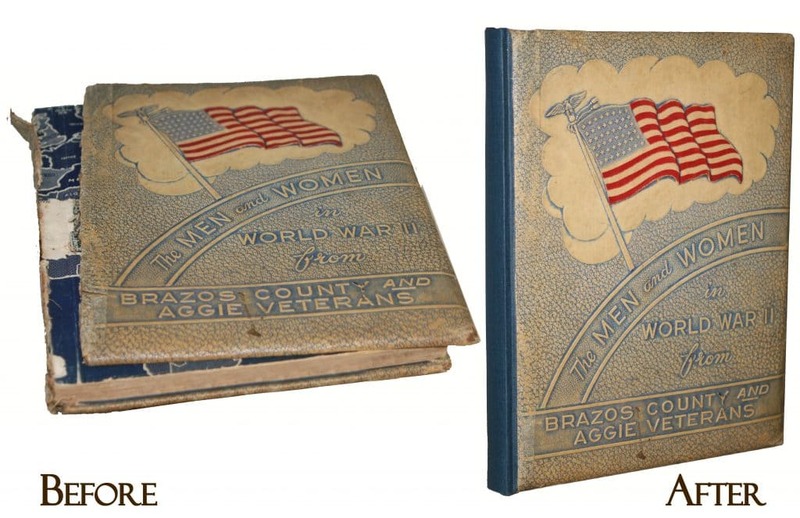 Multiple volumes were taken out of this folder and then rebound into a single volume book. 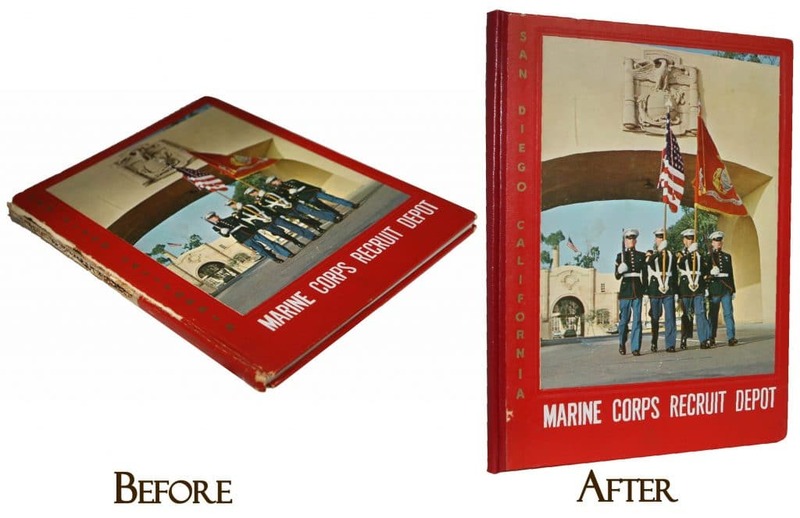 This yearbook came to us with a heavily damaged white cover. 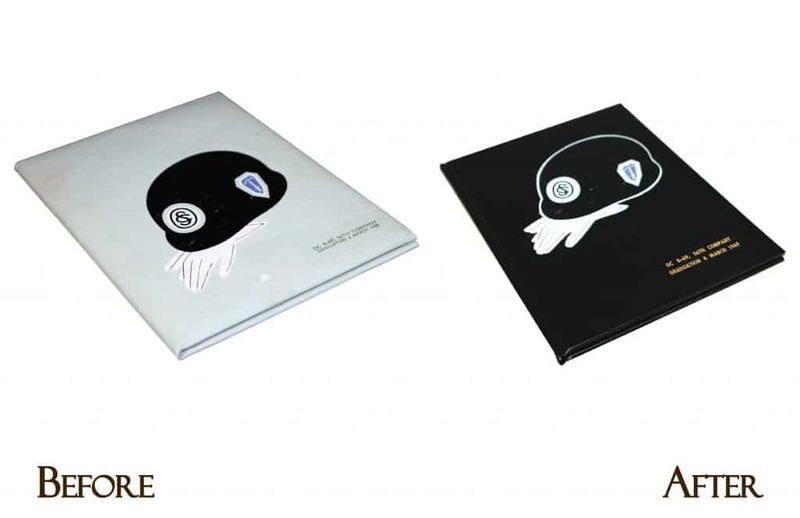 After consultation, we decided to save the unique "helmet and glove" design on the cover, by trimming it from the original cover and inserting it into a new black cover.